A funeral is a ceremony or service held shortly after a person’s death to pay respect to, celebrate and remember their life. While most funeral services include the person’s burial or cremation, this is not always the case. For example, memorial services (as opposed to burial or cremation services) usually take place after the cremation or burial without the body being present. When it comes to planning a funeral service, there a number of important decisions that need to be made, including when and where to hold the service, the format of the service, and the type of service. For a simple step-by-step guide to planning a funeral service, see our Funeral Planning Checklist. You may also find our Checklist for How to Prepare for the Death of a Loved One helpful. When are funerals normally held? Typically funerals are held within a few days of the person’s death. However, keep in mind that in certain religions the timing of the funeral may need to be more exact. For example, in Judaisim the body must be interred as soon as practicable from the time of death. Often funerals are conducted across several locations. For example, the service might be held at the funeral home’s chapel, followed by an attended burial at the cemetery, and finally a reception at the family’s home. At the end of the service, assuming the service is not already at the graveside or crematorium, the casket will normally be carried by the pallbearers to the hearse and taken to the cemetery or crematorium. For more information on planning a burial, see our Guide to Burials. For more information on planning a cremation, see our Guide to Cremations. 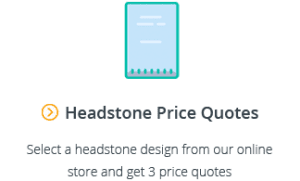 For help planning and costing the funeral, you can complete our 10 Question Request Funeral Quotes Form and we’ll arrange custom quotes from funeral homes within 48 hours. 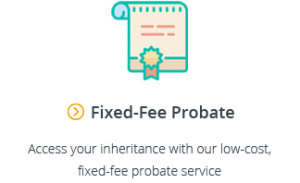 Viewings are optional and can be held just prior to the funeral service and/or the day (or days) before the funeral. When the viewing takes place just prior to the service, the casket or coffin will be set up (either open or closed) so that attendees can visit the deceased. If it is preferred by the family, the viewing can be restricted to close family members only. When the viewing takes place the day before the service, your funeral director will usually set up the viewing in the funeral home chapel (if they have one). If you would like a viewing the day before the service, you should enquire whether the funeral home has their own chapel on their premises, as if they do not, in order to facilitate the viewing they will need to hire out an external church/chapel to serve as the venue and then arrange for transportation of the body to the external venue and back again – all of which involves additional time, labour and costs. If you are considering a viewing, you might consider a casket vs a coffin as the split-lid is designed to make viewings and open-casket services more appealing. Following the service and committal, it is common to hold a reception at a funeral home, event space, restaurant, social hall of a place of worship or a family home. Receptions are often a place where people who haven’t seen each other for a long time have the opportunity to reconnect and remember the life of the deceased in their own words. No service, no attendance funeral (otherwise known as a direct burial / cremation): As the name suggests there is no service and no attendance, and it is the cheapest option as it avoids the requirement for extensive mortuary care or embalming, viewings, celebrant fees, venue fees, other service related fees, flowers, or an expensive display coffin. Single service funeral: A typical single service funeral takes place at a funeral home chapel, church or other place of worship. The service includes a final committal ceremony and there is no procession to the cemetery or crematorium. Dual service funeral: A typical dual service funeral begins at a funeral home chapel, church or other place of worship and is followed by a procession to the cemetery or crematorium for a final committal ceremony. Graveside or arrival service: A graveside or arrival service takes place either entirely at the graveside or crematorium chapel. In the case of burials, a graveside service may sometimes be held at the cemetery chapel followed by a very short procession to the graveside for a committal ceremony. As we have discussed in other articles, when you begin planning it’s important to keep in mind from the outset that the average cost of a burial is much higher than the average cost of a cremation. Once you have an idea of the type of funeral service you would like, it’s time to find a funeral director. 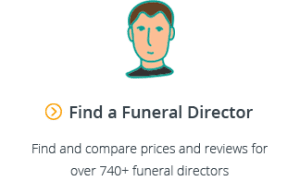 Wherever you are in Australia, you can instantly compare funeral director prices and reviews with Gathered Here. While your funeral director can suggest a celebrant, it may be your preference to select your own funeral celebrant. 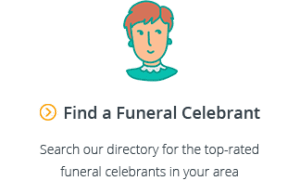 You can easily find and compare funeral celebrants, including their fees and reviews, on Gathered Here. I like your guide to planning funeral service as it is the best way to celebrate and remember a person life. It is an important decision, when and where to hold the services and the type of services. Funerals are held within a few days of the person’s death. Different religion has the different way to buried funeral. Keep in mind your budget and you can choose cheapest options.